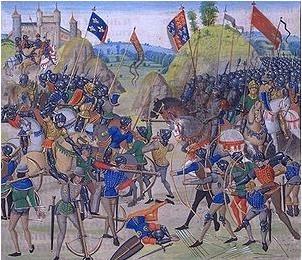 The Battle of Baugé was a Scottish victory over the English, fought on French soil, during the Hundred Years War. 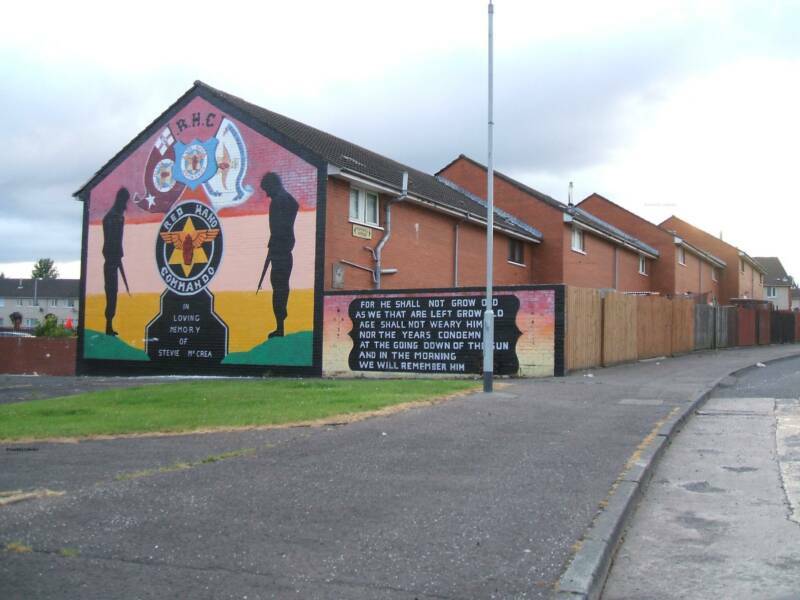 The shooting war stopped with the Good Friday Agreement (also known as the Good Friday Agreement or Belfast Agreement) which had been reached in Belfast on Friday, 10 April 1998. 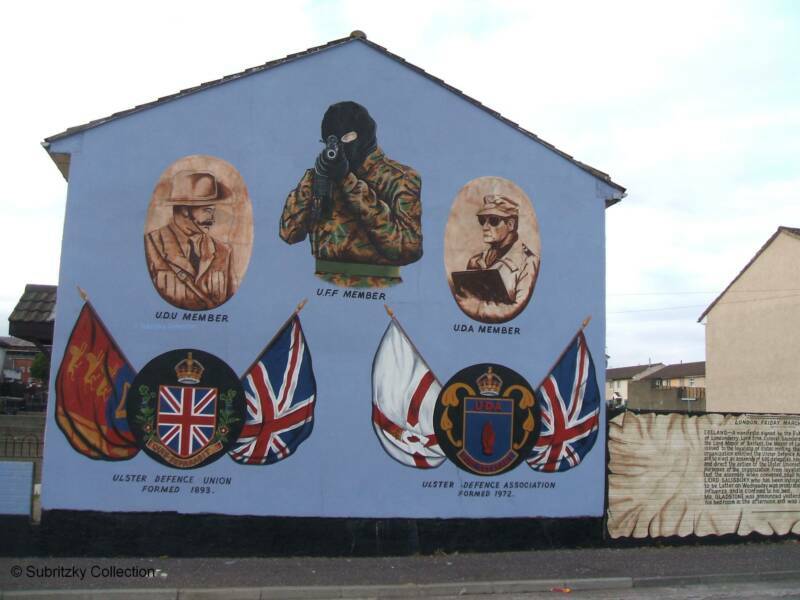 The Agreement set out a plan for devolving government in Northern Ireland on a stable and inclusive basis and provided for the creation of Human Rights and Equality commissions, the early release of terrorist prisoners, the decommissioning of paramilitary weapons and far reaching reforms of criminal justice and policing. It also stopped the shootings, the bombs and the killings. Shortly afterwards, and via a series of disrupted travel plans, my wife Marilyn and I found ourselves alone on the docks at Belfast. 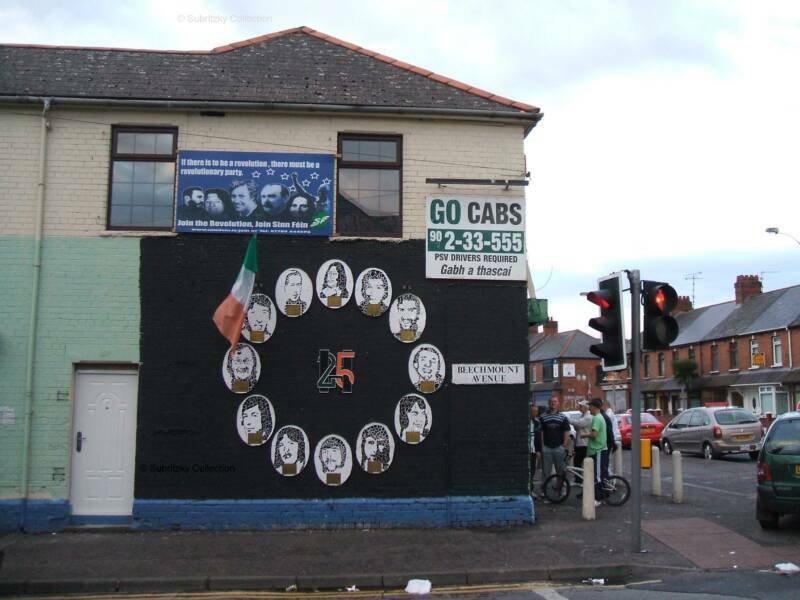 I hired a car and a nice young man was driving us to a hotel when I asked if he would take us to the area of "The Troubles," as I wanted to see things for myself. 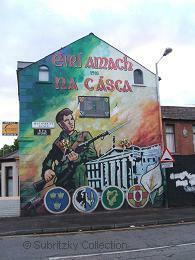 He was a Protestant and said although the shooting had stopped there was still a lot of bad blood so he would take us to the various Protestant areas, but only three "safe" Catholic parts of the city. 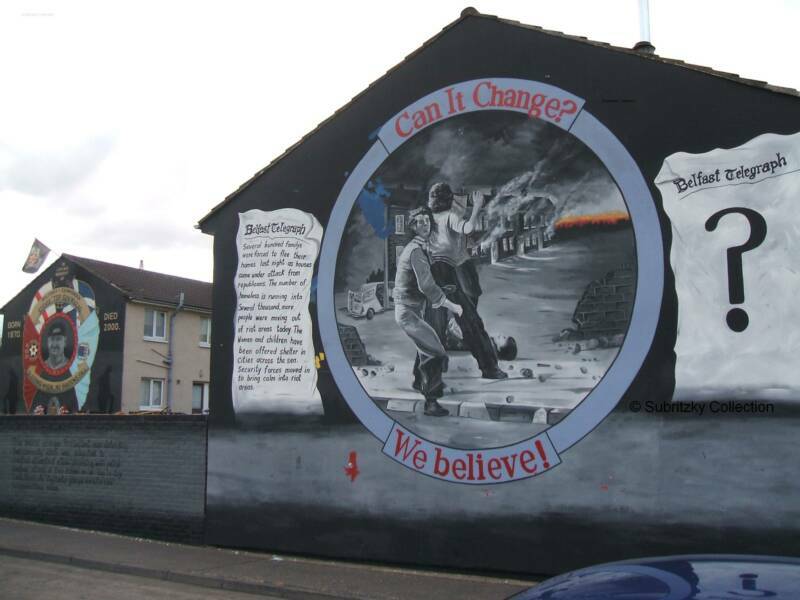 What struck me during this short tour was the artwork and murals that were created on the sides of buildings and housing projects by both sides. They were hauntingly sad and beautiful and spoke of an era when neighbours distrusted and killed each other simply over the denomination of their religion. Below are some of these art-works. 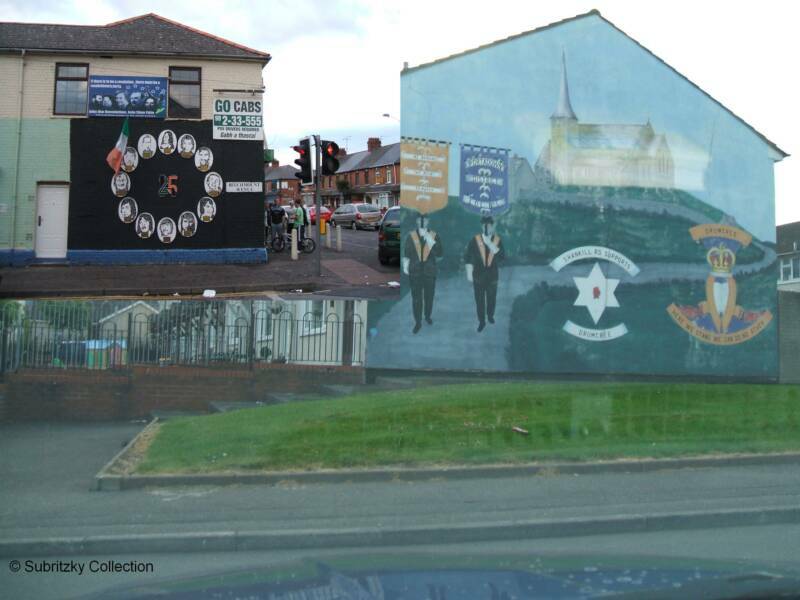 The Protestant murals were always in English, while most Catholic murals were bi-lingual; I have included 4 examples of each as a record for NSC archives. Let us all hope and pray that the war in the North is finally over. 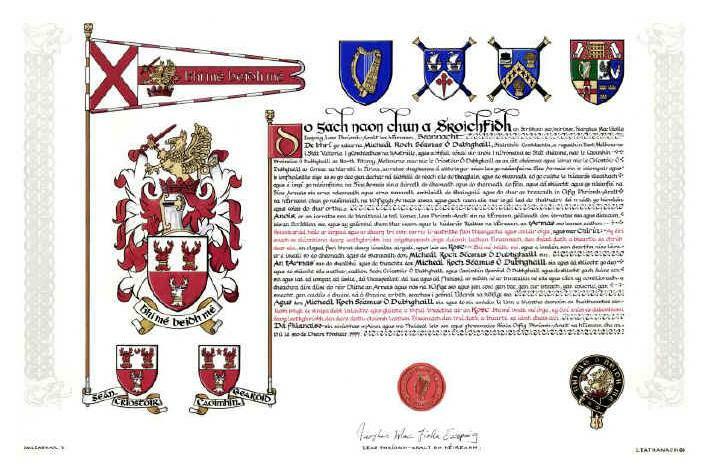 The Noble Society of Celts extends our warmest congratulations to Baron Denis Hoban NSC upon his elevation to the rank of Knight Commander of the Equestrian Order of the Holy Sepulchre of Jerusalem. In the spring of 2009, His Excellency Sir Clair J. Beingessner KGCHS, PhD Lieutenant of the Lieutenancy of Canada, elevated Sir Denis Hoban Bn, NSC to the Rank of Knight Commander in the Equestrian Order of The Holy Sepulchre of Jerusalem. The ceremony to place at Loretta Abby in Toronto Ontario Canada, and a reception was held at the Abby later on in the evening. Welcome to the Winter Edition of AWEN and on behalf of our Honorary Chieftain - Bailey McCune of Coll-Earn and Elphinstone, NSC and our Chancellor - Roger Carlton Sherman, NSC the editorial team extend our warmest greeting to all Companions for the year of 2010. We wish to once again thank Michael Doyle NSC for his many hours of painstaking research in producing the very professionally articles which add lustre to our publication. Thank you Michael. Also, an appeal to all members to send along their personal notes for a "Members Column" Also a reminder to forward their photos for the members page as well as their coats of arms if they have them. 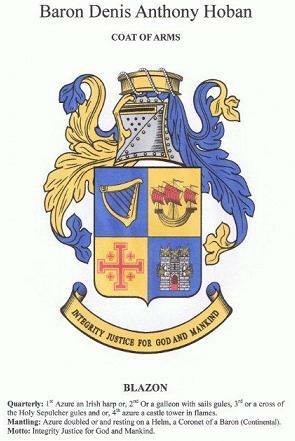 Michael Subritzky-Kusza (Clan O'Dowd) NSC. Heat the glass with boiling water so that it is good and hot. flow into the bowl of the spoon and overflow onto the coffee. Lift the spoon as the cream builds up, so that a layer of cream builds up on top of the coffee. Since it is the sugar that allows the cream to float successfully do not try this in coffee without sugar. Do not stir. Irish coffee is best enjoyed by sipping the coffee through the cream. In Spain a Café Irlandés (‘Irish Coffee’) is sometimes served with a bottom layer of whiskey, a separate coffee layer, and a layer of cream on top. Special devices are sold in Spain for making Café Irlandés. There is today a Foynes Flying-Boat Museum in Ireland that is dedicated to recalling that historic time from 1939 to 1945, when Foynes became the centre of the aviation world. On the 9th of July 1939, Pan Am's luxury Flying-Boat, the ‘Yankee Clipper’ landed at Foynes. This was the first commercial passenger flight on a direct route from the USA to Europe. During the late 1930s and early 1940s, this quiet little town on the Shannon River became the focal point for air traffic on the North Atlantic. During this period, many famous politicians, international businessmen, film stars, active-service-men and wartime refugees passed through Foynes. In fact, the site was initially surveyed in 1933 by Colonel Charles Lindbergh and his wife Ann, who landed in Galway Bay flying his Lockheed Sirius. In December 1935, the Irish Times announced that Foynes would be the site for the European Terminal for transatlantic air services. Colonel Lindbergh returned again representing Pan Am in 1936 to inspect the facilities and also in 1937 to view the departure of ‘Clipper III’. In 1942 Eleanor Roosevelt arrived in Foynes under the alias ‘Mrs. Smith’. Earlier that year, Captain Charlie Blair, later to become the husband of the Irish-American actress Maureen O’Hara, had made the first non-stop passenger flight from Foynes to New York in 25 hours, 40 minutes. The era of the flying-boats was colourful but brief. In 1945, hundreds of people watched as Captain Blair piloted the last American Export flying-boat out of Foynes to New York. Upon arrival, he turned around and piloted the first ‘land-plane’, a DC-4, back to open the new airport at Rineanna, later to become the Shannon International Airport. Shortly afterward, Pan Am, after 2,097 Atlantic Crossings through Foynes, made their last flight to Lisbon from Foynes. Only a day before, their first land-plane had also landed at Rineanna. The Boeing 314 has become the ‘quintessential’ Clipper Flying Boat - the one people think of when they recall the era during which Foynes flourished as the hub of aviation activity between North America and Europe. In all, there were twelve of the aircraft built, eleven of which actually flew into Foynes at some time or another, but sadly none remain intact today to see. Foynes’ Manager and Curator, Margaret O`Shaughnessy, decided there was a need to offer visitors the experience of how it must have actually been to be a passenger on one of these wonderful aircraft … and so a full scale replica was built. Michael Doyle a very prolific writer for the Noble Society of Celts has been elected to the Office of President of the Irish Breeds Dog Club. Congratulations Michael. Empire; men who were trained, self-reliant, and ready at a moments notice to carry out any task that might be imposed on them. There were two main ideas in the minds of the founders. The first was the common brotherhood of the Frontiersmen, and the second the usefulness of such men in the time of war by reason of their ordinary, everyday work, which was their training. On February 15, 1906, the Legion Council was granted official recognition by the Secretary of State for War. In 1918, the Legion's roll was called throughout the British Empire for the first time since the commencement of hostilities in 1914. It was discovered that more than 9,000 members of the Legion have made the ultimate sacrifice during the Great War. Their sacrifice passed into Legion history and they became the legendary "9,000" and are remembered and toasted at every Legion of Frontiersman gathering forthwith, down to the present day. Members of the Legion of Frontiersmen may wear one of two tartans, which are The Culloden Tartan and the Legion of Frontiersmen tartan. 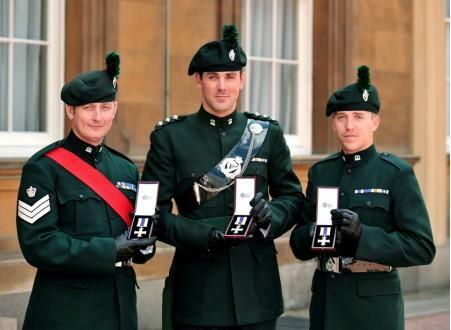 Three members of the Royal Irish Regiment have been awarded the prestigious Military Cross for their gallantry in Helmand province, Afghanistan … Sergeant Stephen McConnell from County Antrim, Captain Graham Rainey from County Down and Ranger Alan Owens (a ‘mercenary’ from the south?). The 1st Battalion of the Royal Irish Regiment was deployed to Afghanistan as part of the British army’s 16 Air Assault Brigade. Stephen McConnell, Graham Rainey and Alan Owens were deployed as part of Operation Herrick, which is still ongoing. 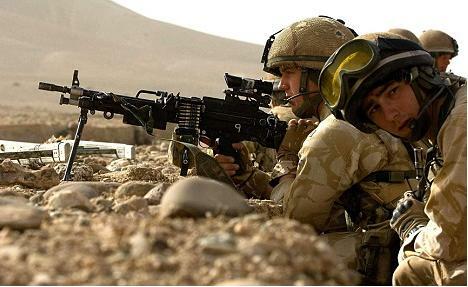 They went into battle in small groups, fighting in a very hostile province, alongside personnel from the Afghan army. 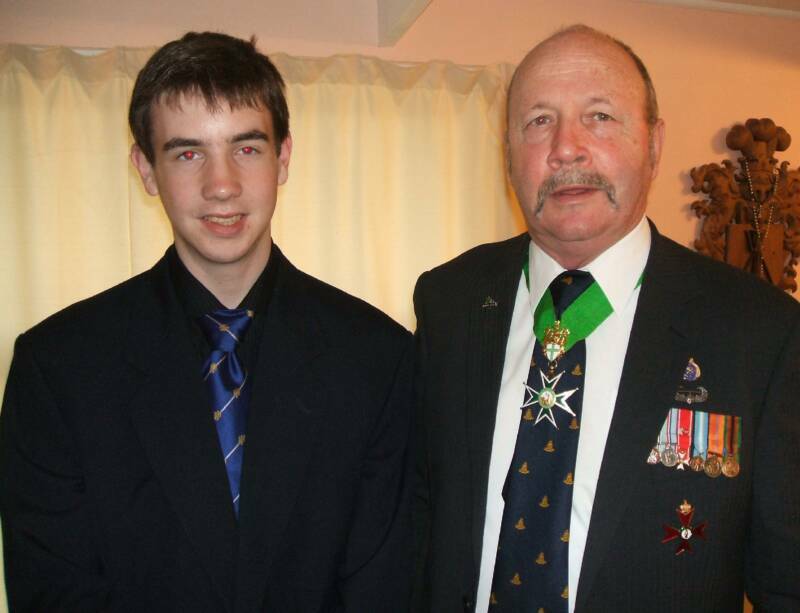 Captain Rainey was awarded his ‘M.C.’ for actions north of Musa Qala, Colour Sergeant McConnell received his for actions while serving with Ranger Company in Sangin, and Ranger Owens was honoured for gallantry on operations near the Kajaki Dam. 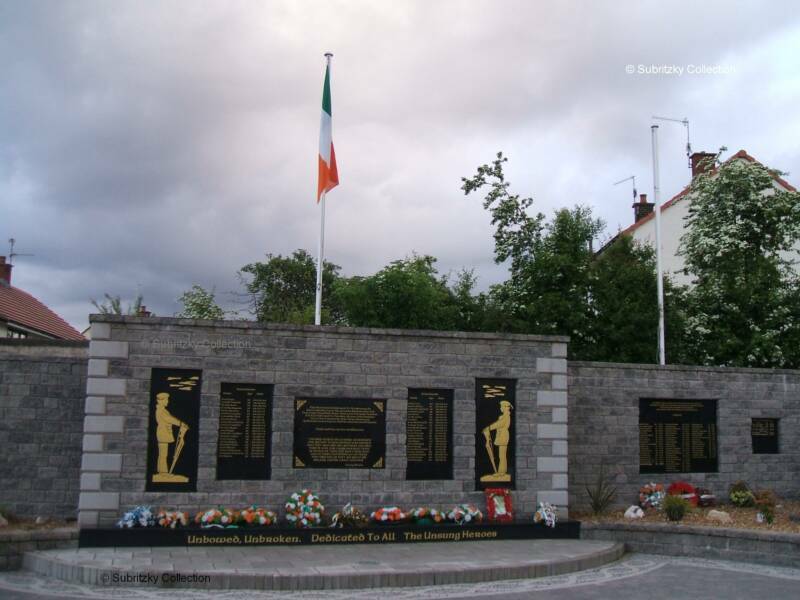 From its origins in 1689 right up to the present day the Royal Irish Regiment, and its antecedents, have been engaged in the front line of British army campaigns all around the world. Their antecedents played a significant role in world affairs for over 300 years … from Waterloo, the Indian Mutiny, and the Boer War, to the First World War battles of the Somme, and the Second World War actions at Dunkirk and Normandy, plus the gruelling ‘police action’ in Korea during the early 1950s. 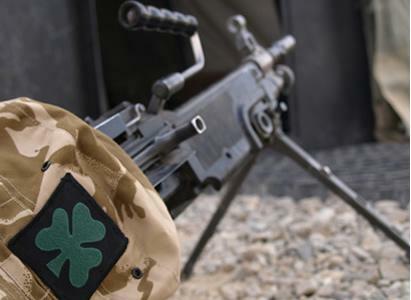 More recently the 1st Battalion, The Royal Irish Regiment has been on operations in Bosnia, Kosovo, Sierra Leone, the Arabian Gulf, Iraq, and Afghanistan. Future plans for the Royal Irish also include parachute training, as part of their move to 16 Air Assault Brigade … which has put the First Battalion firmly at the forefront of future British Army operations around the world. 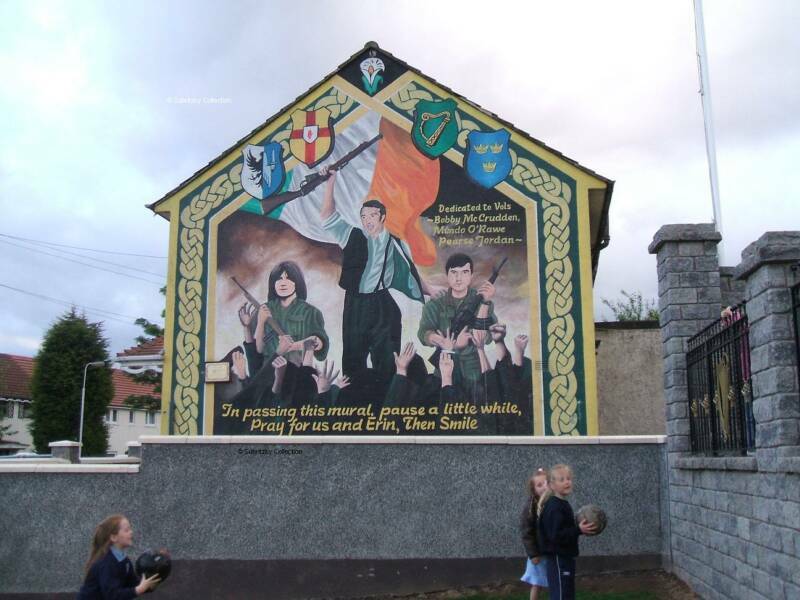 "In your prayers please remember all of those Brave young Celtic men and women, who's blood is that of ours, and who are currently serving in Harm's Way." 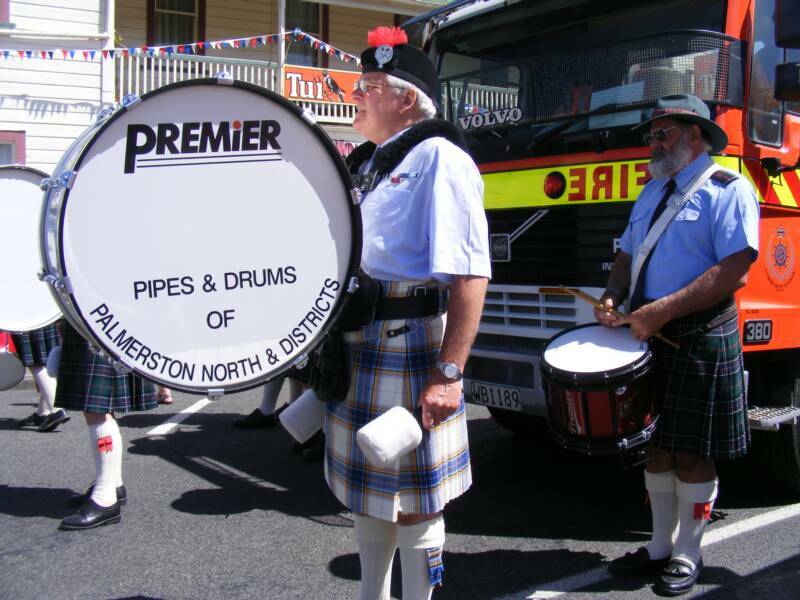 Antarctic Veteran David Leese RNZN (rtd) of the Palmerston North Pipes and Drums proudly wears the Antarctic Tartan on parade 2009. 2 Heaped teaspoons (sweetened) Condensed Milk. 1 heaped teaspoon (cake) Baking Powder. 1. Cream the butter, sugar, condensed milk and vanilla together. 3. 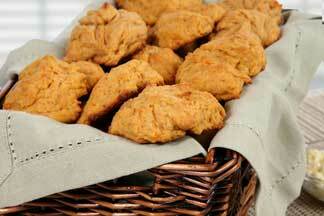 Cut into small pieces, and roll into balls. 4. Place a piece of glazed cherry on top of each. 5. Bake for 20 minutes at 350% F.
Ivry surrendered to the English before the Allied army could arrive, but the Scots and the younger French nobles were determined to seek battle. It was decided to attempt to capture some towns on the border of Normandy. Verneuil-sur-Avre soon fell to the combined army, but this apparently easy success was short-lived. 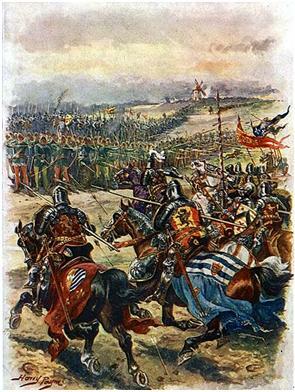 On the 17th of August, at Verneuil, an English army under John, Duke of Bedford, with Salisbury commanding the wing that was facing the Scots, inflicted a crushing defeat on the Allied army. 4,000 of the Scots, including Douglas and Buchan were killed in the fighting. For the next five years the Dauphinist cause seemed to be hopeless, only reviving with the failure of the English Siege of Orleans. Scottish and French losses were much lower. The two main Scottish sources provide very low figures – the Liber Pluscardensis gives suggest eighteen killed, while the Scotichronicon reported the dead as twelve Scots and two Frenchmen. As with some English reports from Agincourt, these figures are almost certainly too low, especially for a close quarters melee battle, but even if we multiply them by ten it is clear that the Scots had won a very cheep victory. The end of the melee marked the end of the fighting, but not of the wider campaign. 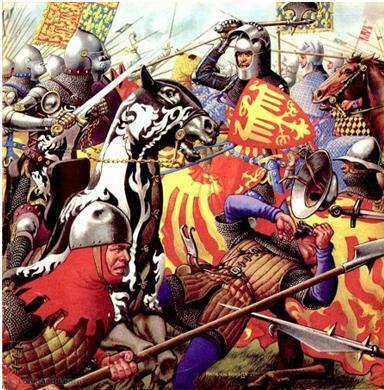 The larger part of the English army, the archers under Salisbury, was still intact, but it was now dangerously isolated, with the victorious Scots between them and safety in Normandy. The Scottish commanders spent the night after the battle in Baugé, from where they dispatched a report of the victory to the Dauphin. In the event Salisbury was able to escape with relative ease. The Scots seem to have assumed that he would either have to attack them at Baugé or retrace Clarence’s steps, which would have taken the English east of Baugé. Instead Salisbury slipped by them to the west, crossing the Loire at La Flèche, and bluffing their way across the Sarthe at Le Mans by pretending to be French, destroying the bridge behind them. The Franco-Scottish army learnt of this movement too late to intervene. Clarence’s body was recovered, probably on the day after the battle and by his illegitimate son John, who he had knighted just a few days before the battle. The result of the Battle of Baugé led to a short term improvement in French fortunes. Buchan was rewarded with the lands of Châtillon-sur-Indre, and was appointed Constable of France, effectively command of the French armies. Wigtown was given Dun-le-roi, and made Count of Longueville (something of a meaningless award, as the place was in English hands). 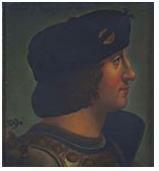 The Scottish involvement in France expanded, and in 1424 Wigtown was replaced by his father, Archibald Douglas, fourth earl of Douglas, who led a large Scottish army to France. In England the news was met with shock, while Henry V reacted with a mix of grief for the death of his brother and anger at his inept performance. 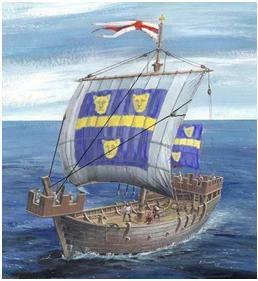 Henry prepared for an early return to France, leaving England for the last time in May 1421. In the meantime the Dauphin Charles had taken to the field in person, at the head of a combined Franco-Scottish army, this time with a more substantial French component. This army began a siege of Chartres, but when Henry reached France the Dauphin retreated back south, too sick to risk facing him in battle. 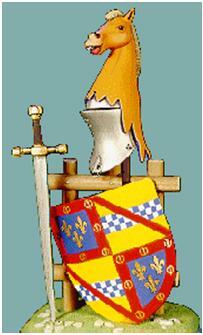 Henry settled down to besiege Meaux, the main Dauphinist strongpoint near to Paris. 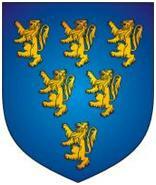 The siege ended in success in May 1422, but Henry contracted a fatal illness, and died on the 21st of October 1422. Despite this apparently crushing blow, the high-point of English fortunes in France was yet to come. Over the next two years the Scots would be involved in two battles where they were badly let down by their French allies. The first came at Cravant on the 31st of July 1423. Sir John Stewart of Darnley – the third most senior Scottish commander at Baugé – had command of an Allied army that was sent to attack a Burgundian strongpoint at Cravant on the Yonne. Darnley’s army included Scottish, Spanish, Italian and French contingents, but when Salisbury appeared only the Scots stood and fought. Darnley himself was captured in the battle. He was later ransomed with French help, but was later killed during the Siege of Orleans. 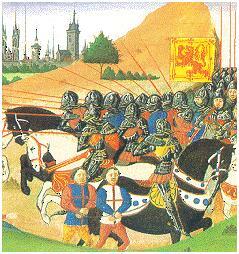 Early in 1424 the Scottish forces in France were reinforced when Archibald Douglas, fourth earl of Douglas, arrived at the head of an army of 6,500 men. 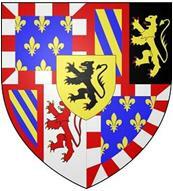 He was made Duke of Touraine, and took up residence at Tours, but his time in France would be short. In August he was at the head of a combined Scottish, French and Italian force that had been brought together to raise the Siege of Ivry. Hardly surprisingly none of the sources agree on how he died or who killed him. Amongst the possible candidates are Alexander Makcaustelayn (a Lennox highlander), the Lord of Fontaines (in single combat between the armies before the battle! ), Charles le Bouteiller and William de Swinton. The Liber Pluscardensis is more honest, suggesting that it was impossible to tell who had killed whom in the melee, while Walsingham claimed that the death of Clarence did not become known until some time after the battle, when the bodies of the slain were searched. large part of his own army. least one English source, which may reflect this same incident. La Fayette’s scouts were first to spot the approaching English army, raising the alarm. Exactly where the first clash took place is not entirely clear, but it was probably around the bridge at Baugé. The main Scottish sources report that Clarence was initially unable to force his way across the bridge in the face of a storm of Scottish arrows, but was eventually able to make his way across, either using the bridge, or across a swampy ford. Having abandoned his archers at Beaufort, Clarence should at least have made sure that his force of men-at-arms kept together. Instead he had allowed it to become stretched out on the road to Baugé. The main reason for this disastrous decision would appear to be that Clarence wanted to win some glory for himself. He had not been present at Agincourt, and was not temperamentally suited for the war of sieges that had followed. Huntingdon and Umfraville were both said to have attempted to persuade him to wait for the rest of the army, but without success. At this point the Franco-Scottish army was dangerously scattered. La Fayette and his scouts were on the same side of the river as Clarence. Most of the men were at Vieil Baugé, south west of the bridge, and according to the Scottish sources were either at prayers or playing sports. Near the bridge were thirty men under Robert Stewart of Railstone, while another hundred under Walter Kennedy were quartered in a nearby church. 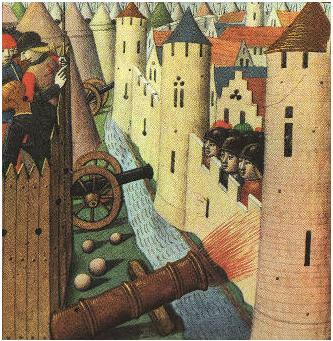 When Clarence reached Angers the town was too strongly defended for him to besiege, and so he retreated east to Beaufort-en-Vallée, to the east of the town. At the same time the Scottish force was moving west from Tours, and would soon be in place to the north of the English, blocking the direct route back to Normandy. On the night before the battle the two armies were only eight miles apart. During Good Friday (the 21st of March) the Franco-Scottish army had reached Le Lude, on the Loire, eleven miles to the north east of Baugé. They had then moved on to Baugé, before finally moving about one mile further to the south west to the small village of Vieil Baugé. At this point Clarence was based at Beaufort en Valleé, eight miles further to the south west. The two armies were also separated by the River Couasnon, which runs south west from Baugé, passing to the east of Vieil Baugé but to the west of Beaufort. The only available bridge across the river was at Baugé. By the morning of the 22nd of March at the latest, Buchan and Wigtown had decided to offer battle at La Lande Chasles, a small village six miles to the south east of Baugé, on the opposite side of the Couasnon. The evidence suggests that they knew that Clarence was close by, but that Clarence was unaware how close he was to the Scottish army. That morning Buchan sent La Fayette to inspect the ground at La Lande Chasles, while Clarence sent foraging parties out in every direction (these foraging parties contained most of his archers). One of those foraging parties, possibly under Sir Gilbert Umfraville, was sent north towards Baugé, and at some point during the morning discovered the present of the Franco-Scottish army, capturing a number of Scots. They then returned to Beaufort, where Clarence questioned them (possibly while at dinner). 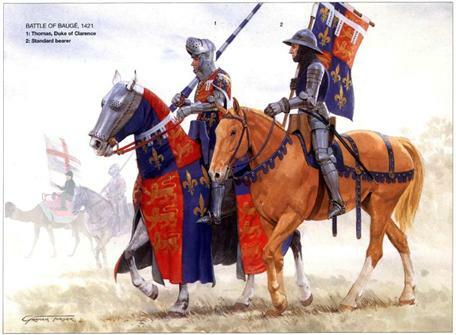 Edmund Beaufort, John Grey Count of Tancarville and Lords Roos and FitzWalter, rode out of Beaufort heading for the bridge at Baugé. It is generally accepted that Clarence fought with around 1,500 men-at-arms at Baugé – English sources suggest that few of the men-at-arms escaped, while the Scotichronicon gives a total of 1,617 English dead, roughly in line with other sources. 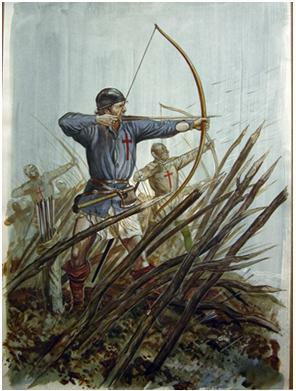 Given a ratio of 3-1 this would have given him 4,500 archers, for a total of 6,000 men. 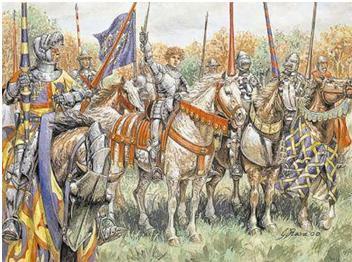 Clarence’s army mustered at Bernay in March 1421. 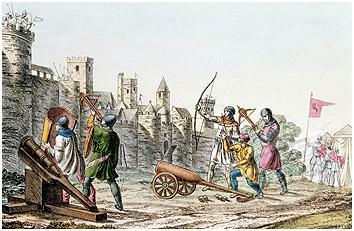 His target was Angers, on the Loire River. He is said to have believed that the Franco-Scottish army was somewhere in this vicinity. His army moved fast, crossing the River Huisne at Pont-de-Gennes, just to the east of Le Mans, and then turning to the south west, crossing the Loire at Luché (between La Flèche and Le Lude). The larger figures for the English army are most unlikely, giving Clarence as many men as King Henry V had brought to France before Agincourt. Clarence’s army had probably been formed largely from the garrison of Normandy, which at the beginning of 1421 had numbered just under 5,000. 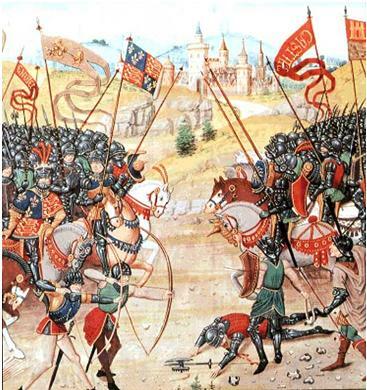 Whatever the actual size of the English army, all accounts agree that only a small part of it actually took part in the battle – the men-at-arms led by Clarence, while the Earl of Salisbury was left behind to gather together the archers. more experienced men associated with La Fayette. There was also a small force of Angevins under the Lord of Fontaines, who had joined the army just before the battle (the Lord of Fontaines would be amongst the small number of French casualties at the end of the battle). Despite this, the army was overwhelmingly Scottish. In the time between their arrival in 1419 and the battle, the Scots had gained a rather poor reputation amongst the French – both main Scottish sources report that they were seen as “consumers of mutton and wine” – but they still had a high reputation with the Dauphin. The size of the English army is much less certain. A number of sources give figures for the size of the army at the start of the expedition. The Scottish Liber Pluscardensis gives a figure of 10,000 men, which French sources give figures that range from 4,000 up to 12,000. The French Chronicle of Juvénal may be most accurate, giving Clarence around 6,000-7,000 men at the start of his expedition, including 1,200 nobles, who would have made up the bulk of the men actually involved in the battle. The English army was commanded by King Henry’s oldest brother, Thomas of Lancaster, Duke of Clarence. In March 1421 he was the heir to the throne (Henry’s new wife, Catherine of Valois may have been pregnant by this point, but the future King Henry VI would not be born until early December, so it is probably safe to assume that this was not yet known). The Scots made up by far the largest part of this army, although exactly how many Scots were present is again unclear. 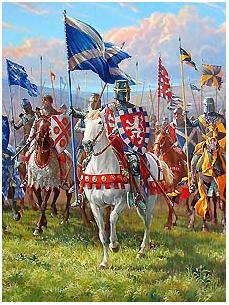 The Scottish army that reached France in 1419 was almost certainly 6,000 strong, but this force was not kept together. 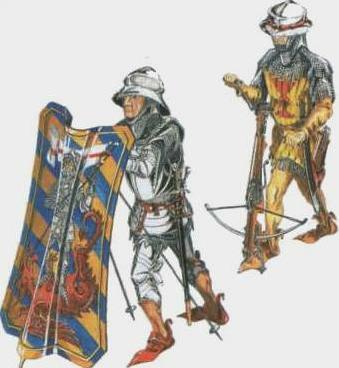 Some of the Scottish troops were used to reinforce Dauphinist garrisons upstream of Paris and in Maine and Anjou (during 1420 England’s King Henry V had encountered Scottish troops during the siege of Melun). A fleet of ships from Castile (Spain) reached Scotland in September 1419 to embark the Scottish army, and, on the 29th of October 1419 the Scottish army reached the Dauphin’s court at Bourges. 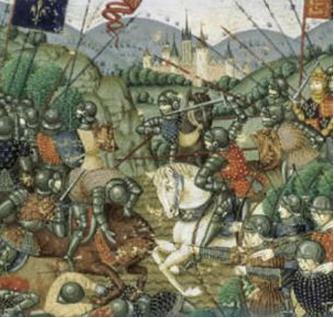 As is often the case with well documented medieval battles, the more sources we have the less certain we can be about the course of the battle. 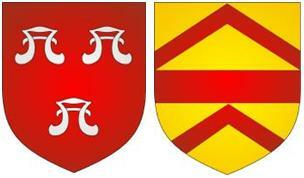 To make things more complex in this case we have four different sets of chronicles – Scottish, French, English and Burgundian – none of which are entirely consistent - as an example the two main Scottish sources (the Liber Pluscardensis and the Scotichronicon) disagree on the size of the Scottish army and on who killed Clarence, while the Lancastrian dynasty was not universally popular in England. It is impossible to be sure of the exact numbers of men in either of the armies present at Baugé. Estimates of the size of the Franco-Scottish army vary least, ranging from 5,000 to 7,000 … with 6,000 being most likely. At this time Scotland was ruled by Robert Stewart, first Duke of Albany. (Just before the death of his father in 1406, the future King James I had been sent to France, possibly to protect him from Albany, but on the 22nd of March 1406 he had been captured at sea by the English, and in 1418 was still in captivity in England). Albany was generally in favour of the French alliance, and it was decided to send a force of 6,000 volunteers to France. 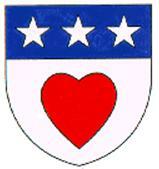 The command was to be shared by Archibald Douglas, Earl of Wigtown (or Wigtoun), the son of the fourth Earl of Douglas, and Albany’s second son John Steward, third Earl of Buchan. 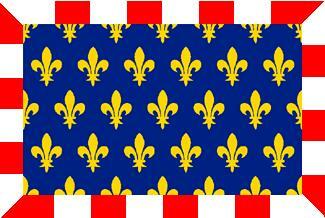 The situation was further complicated by the ongoing civil war between the faction loyal to the King and the supporters of the Dukes of Burgundy. This had seen ‘John the Fearless’, Duke of Burgundy, order the murder of the king’s brother Louis of Orleans, while in 1419 supporters of the Dauphin would in turn murder the Duke. Late in 1418 the Dauphin Charles made an appeal for help from Scotland. 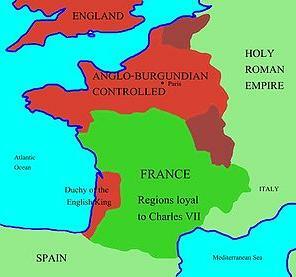 By the start of 1419 the English under King Henry V were in a very strong position in France. 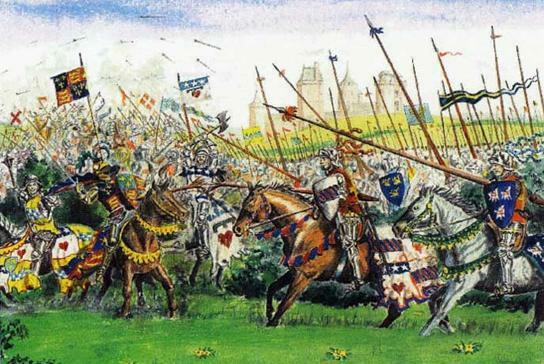 His victory at the Battle of Agincourt had saved Henry’s invasion of France from ending in disaster, and had established him as a major force in France. 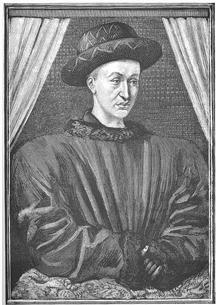 King Charles VI of France was increasingly insane, while his heir, the future Charles VII, was only sixteen, and had only become Dauphin (crown prince) in 1417, after the deaths of all four of his older brothers. Even now Clarence does not seem to have waited for all of his men-at-arms, but instead to have advanced towards the main Scottish force at Vieil Baugé. Scottish and French sources both state that some of the English troops arrived late, after having been left behind on the ride to Baugé. Vieil Baugé lies on a low ridge a short distance back from the river. At this point the main Scottish force would appear to have been hidden over the skyline, and Clarence began to advance up the slope towards the village (Scottish, English and French sources). At some point during this climb, Buchan led his men over the skyline and the two armies charged. The result was a confused hand-to-hand melee, in which the outnumbered English force was virtually wiped out. Clarence was one of the first to be killed. Umfraville. 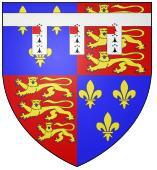 The Earls of Huntingdon and Somerset, Edmund Beaufort and Lord FitzWalter were amongst the prisoners. 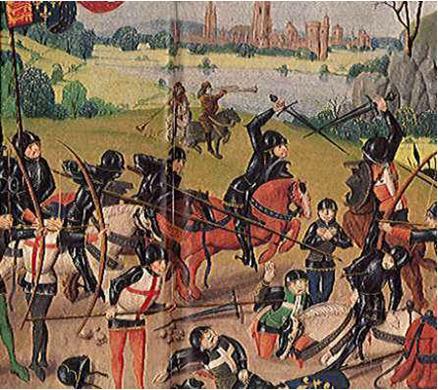 Very few of the English men-at-arms escaped from the melee. Overall the English probably lost around 1,500 men. The Scotichronicon gives a figure of 1,617 dead. French sources tend to support the figure of 1,500 casualties, either mostly dead, or a mix of dead and captured. Despite this, the Battle of Baugé had been a serious blow to the English. Clarence had been the heir to the throne at the time, and so his death was significant in its own right. 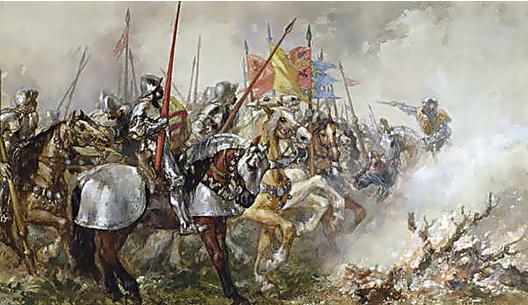 It was also the first major English defeat since Henry V had begun the second phase of the Hundred Year’s War. Wild rumours soon travelled around Europe, greatly exaggerating the scale of the defeat, and in some cases replaced Clarence with his brother Henry. The victory also helped to cement the “auld alliance”, lifting the reputation of the Scottish soldiers in France. The next few years also saw the formation of the Garde écossaise, a small Scottish force which acted as a bodyguard for the kings of France, and survived until the French Revolution. Shannon International Airport in the west of Ireland; the coffee was conceived after a group of American passengers disembarked from a Pan Am flying-boat on a miserable winter evening in the 1940s. Sheridan added Irish whiskey to the coffee to warm the passengers. After the passengers asked if they were being served ‘Brazilian coffee’, Sheridan thought quickly and told them it was ‘Irish Coffee’! 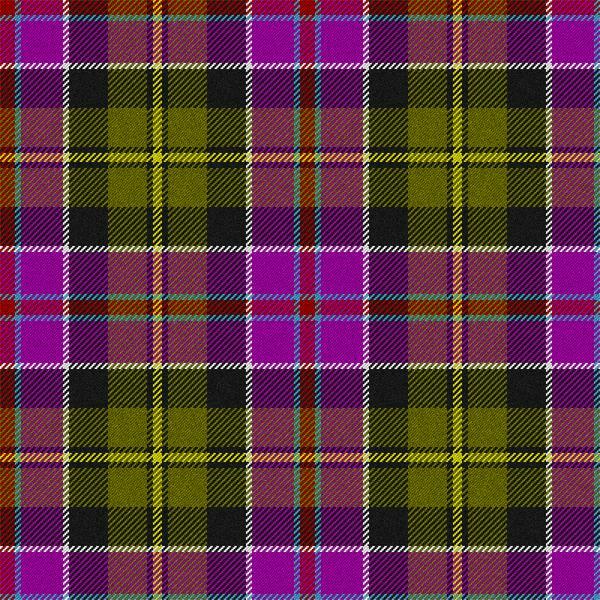 The official tartan of the Legion of Frontiersmen was created by General Michael J.Donnelly LF, QGM and Chevalier David Robert Wooten LF. 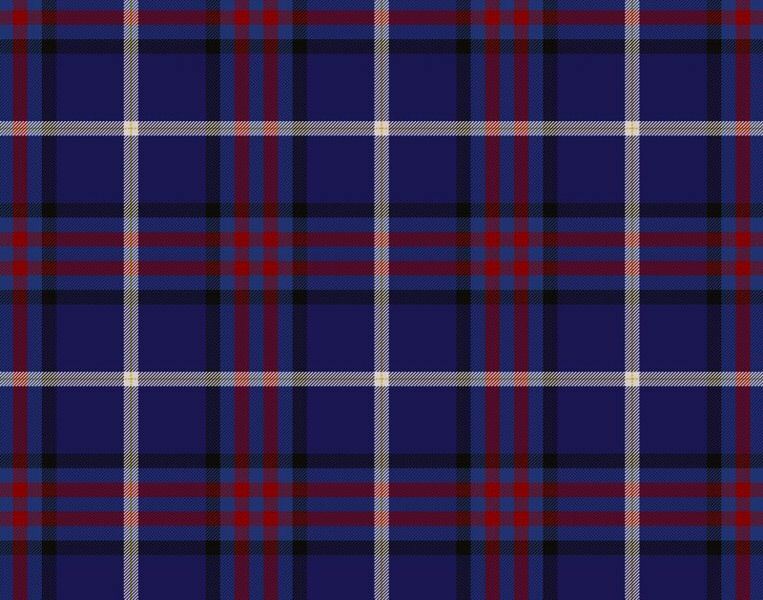 The tartan features the "primary" colours of the Legion and is designed it to be a military set that it can be worn for dress or general use, with a predominance of dark blue. The tartan is dissected by red with black on either side. The Red is for the blood of the 9,000 Frontiersmen Killed in Action during the First World War, and the Black is a memorial to preserve their memory. The Blue is the water that separates all International Commands, and the White is the eternal hope of Peace.